Darren Wee, Radio DJ with Mediacorp's 987FM opens his second F&B concept at the 4 star Parc Sovereign Hotel. Browsing through the menu, one can easily see that the items are inspired by both French and Japanese influences. 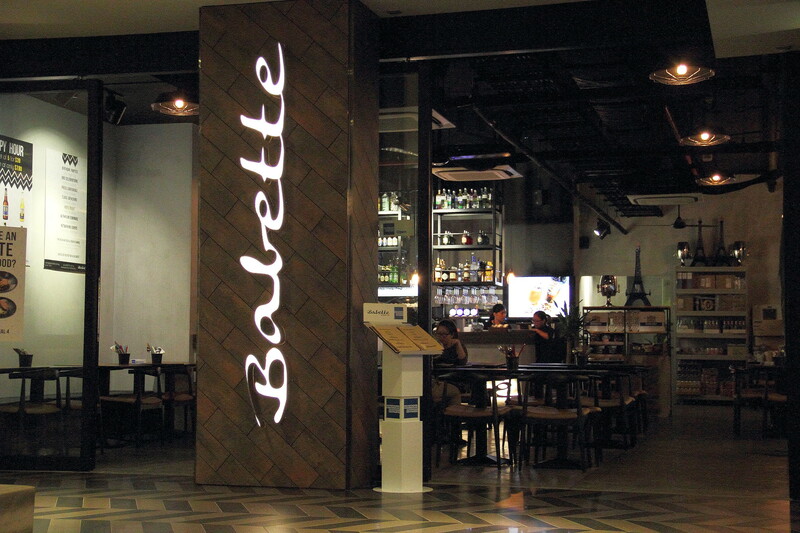 Babette is a restro-bar serving delectable food with a good selection of beers, wines and cocktails. Dinner started with the Grilled Octopus Salad ($17). 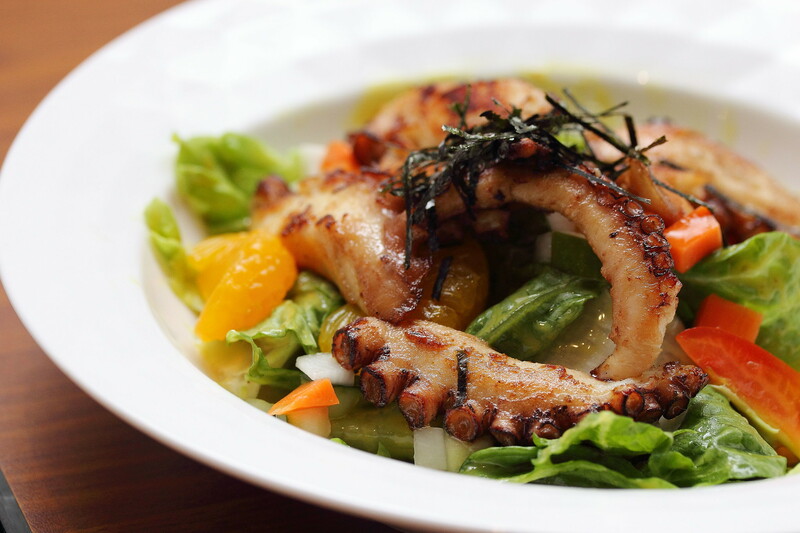 The Mediterranean octopus was braised in a Japanese sauce and served with fresh garden greens. I enjoyed that charred smokiness of the octopus that had a chewy bite in a good way. It is a good dish but I had a better one at MooseHead Kitchen. 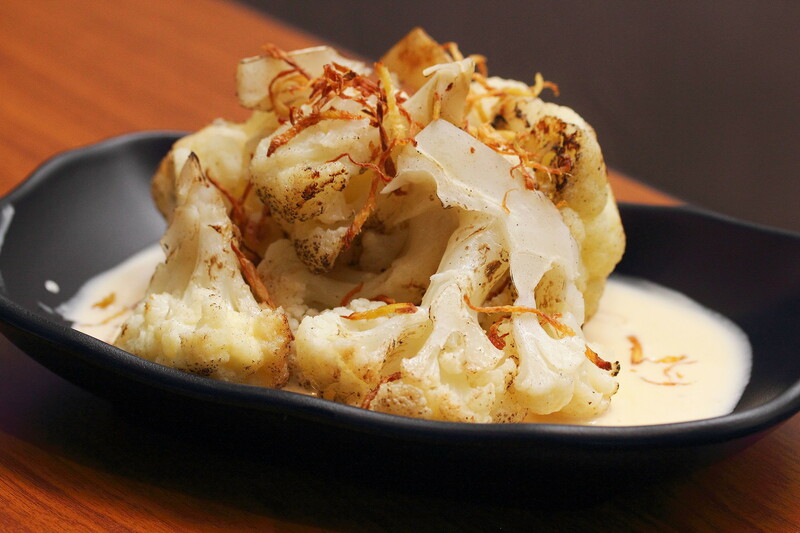 The Charred Cauliflower ($8) served with yuzu veloute was really quite interesting. The used of the fried ginger pairing with the cauliflower gave it a familar homecooked touch that something my mum will cook at home. 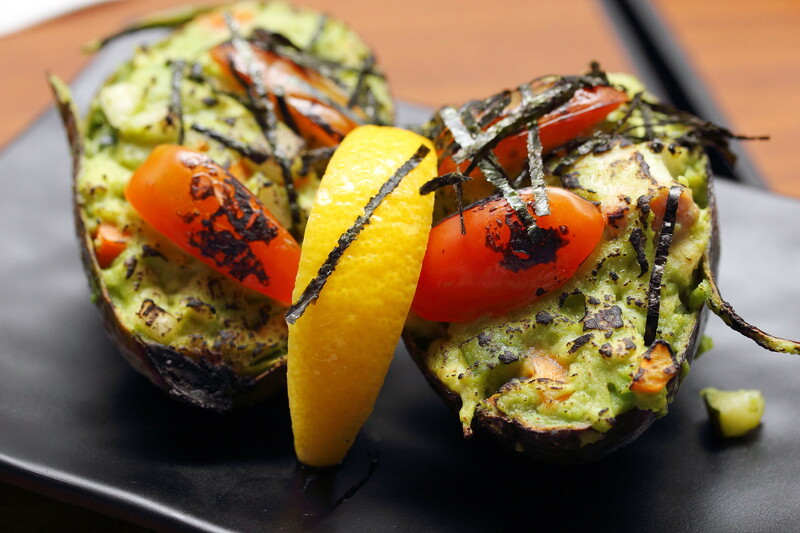 Something different for a change is the Roasted Avocado ($12) with aburi salmon and diced tomatoes. I like the concept, execution and the different play of taste and texture. However I thought the aburi salmon was hardly noticeable. A highlight at Babette is their donburi. 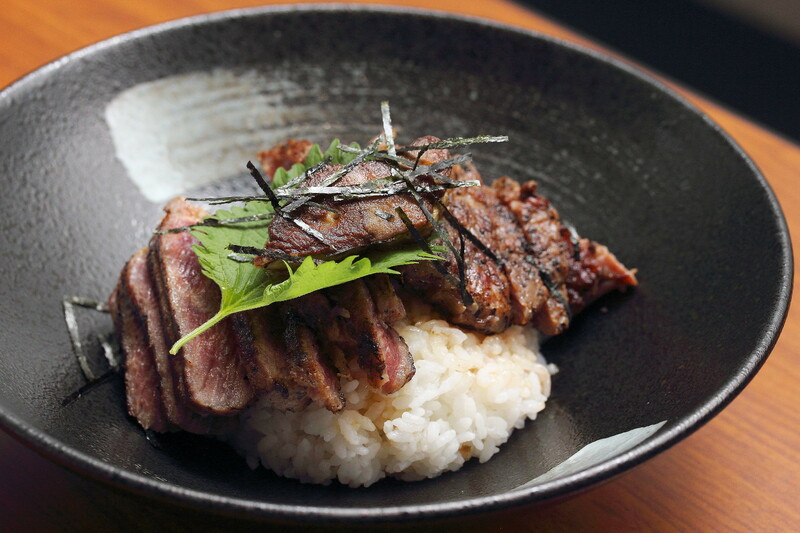 The Steak and Foie Gras Donburi ($28) comes with marbled cut sirloin steak paired with creamy foie gras and drizzled with the homemade Babette sauce. I doubt I have seen this served elsewhere and its really value for money. The steak was really tender and flavourful. However I thought adding a onsen egg to the bowl would be even more perfect. 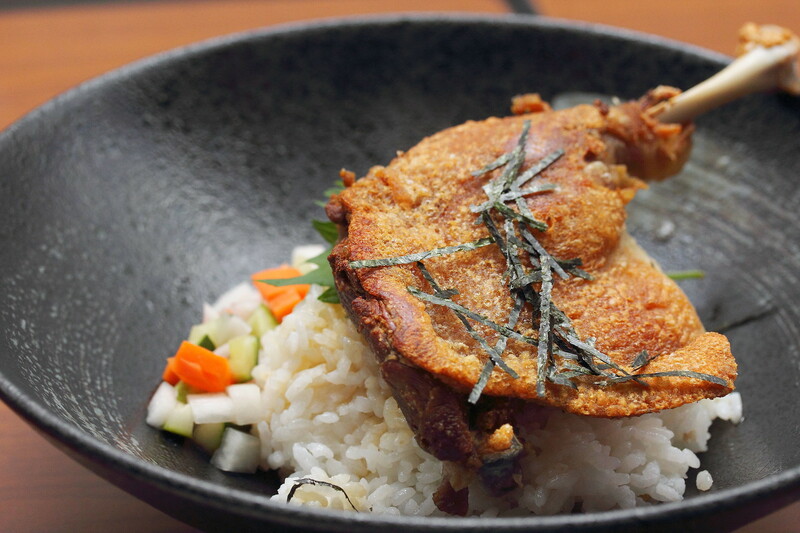 The other donburi dish on the menu is the Duck Confit Donburi ($28) that comes with a crispy duck leg confit pan seared and served with homemade pickles and drizzled with their special sauce. The duck leg confit was fork tender and I like the pickles that help to cut through the greasiness. 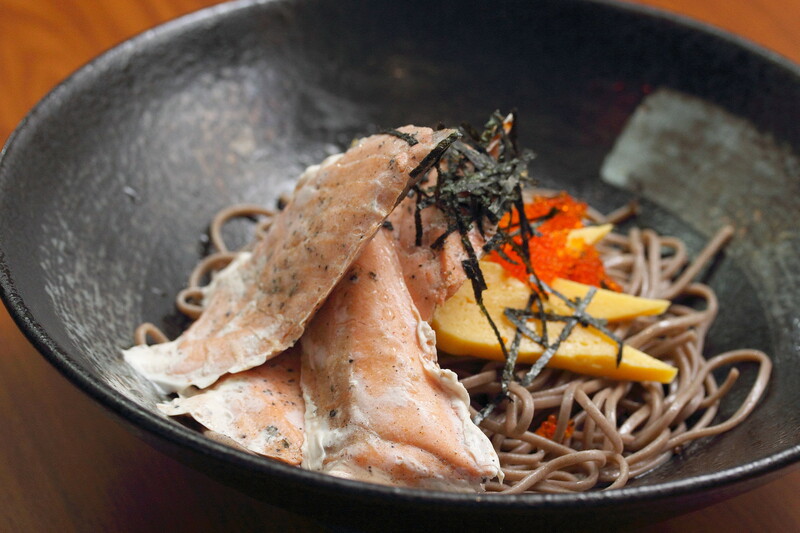 If you don't feel like having rice, there is the Confit Salmon and Soba ($17) served on a bed of soba noodles with tamago. I enjoyed the slurping good soba noodles but I thought the salmon looked kind of pathetic. The finale at Babette has to be the Matcha Lava Cake ($12) to wrap the dinner on sweet note. This is the most instagram photo at Babette. 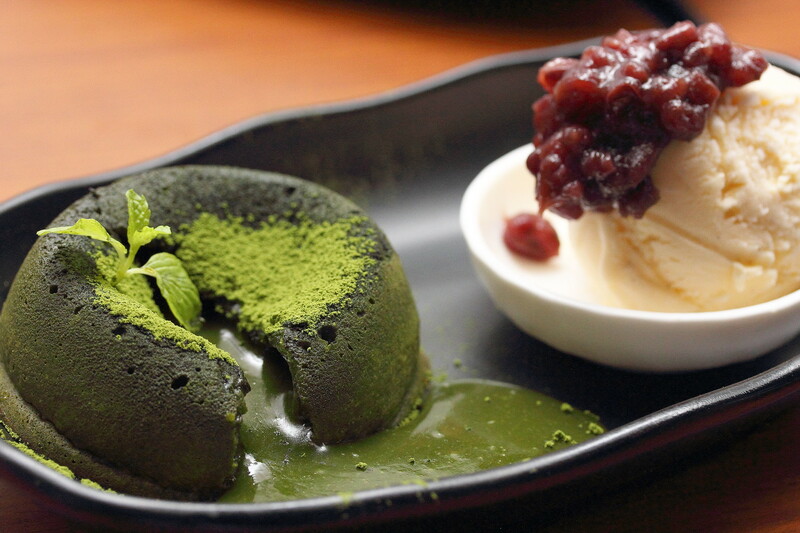 The green tea infused white chocolate fondant is served with vanilla ice cream drizzled with premium azuki red bean. I am not a dessert person but I definitely gone back for more of it. While some felt that it is lacking the matcha flavour, it did not bother me as I enjoyed it.